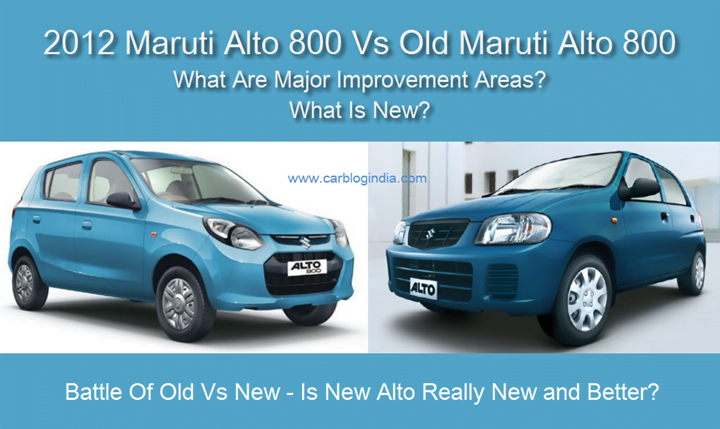 2012 Maruti Alto 800 Vs Old Maruti Alto– What Is New In New Alto 800? 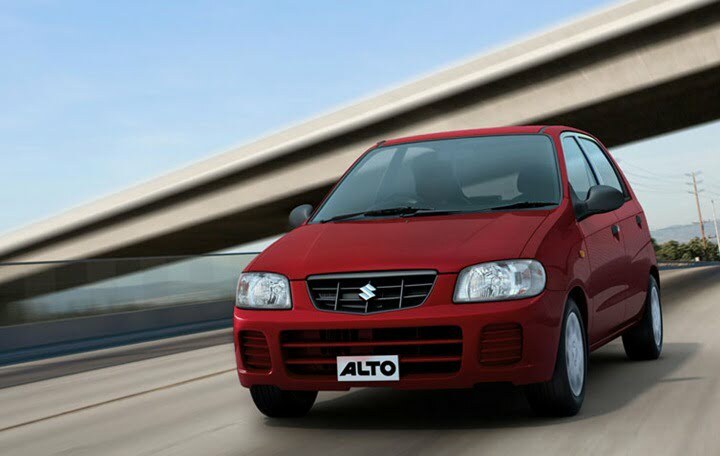 Maruti Suzuki India has launched their new 2012 Maruti Alto 800 in India on 16th October 2012. 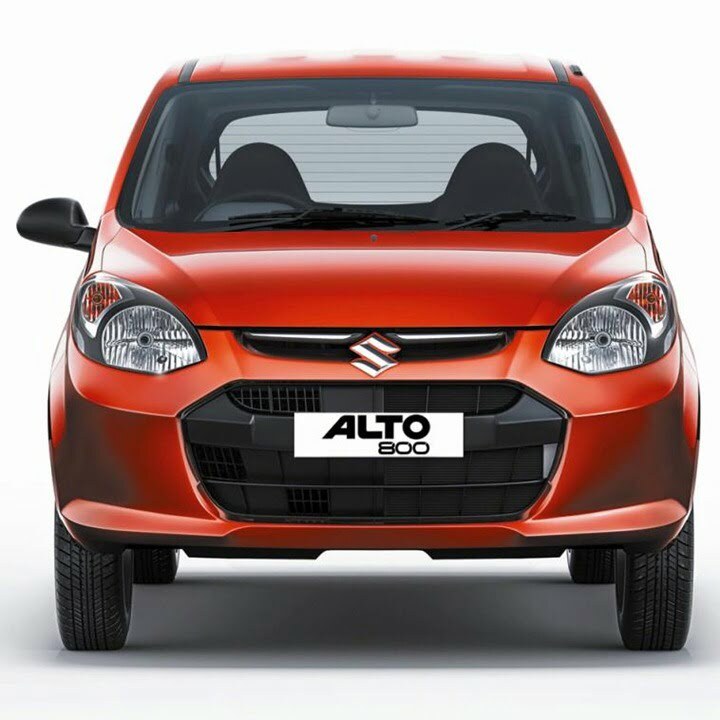 The 2012 Alto 800 is an all new design when it comes to the exteriors and interiors of the car, but it does share a lot of legacy of the original Alto 800 CC old model including the platform, suspension and engine. But many of these components have been upgraded or changed in the new Maruti Alto 800. Alto has been one of the best seller cars from Maruti Suzuki since recent past when the petrol prices were hikes significantly and diesel cars like Swift and Dzire became more popular than the small car Alto. Also with the new cars in the segment like Hyundai Eon, the sales of the Alto, which has been quite dated, had declined gradually. 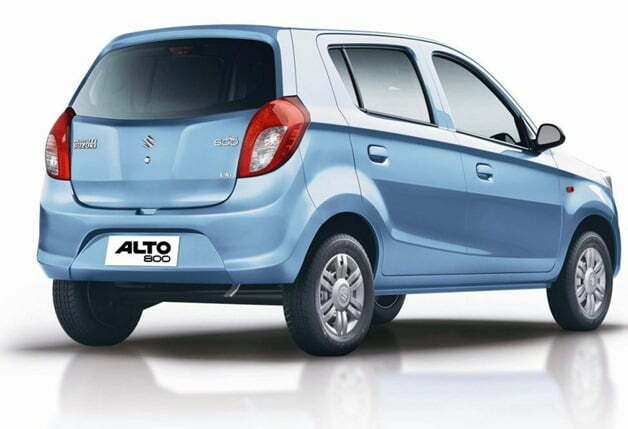 The 2012 Maruti Alto is Maruti’s effort to claim its small car forte back in India with an new and improved Alto 800. 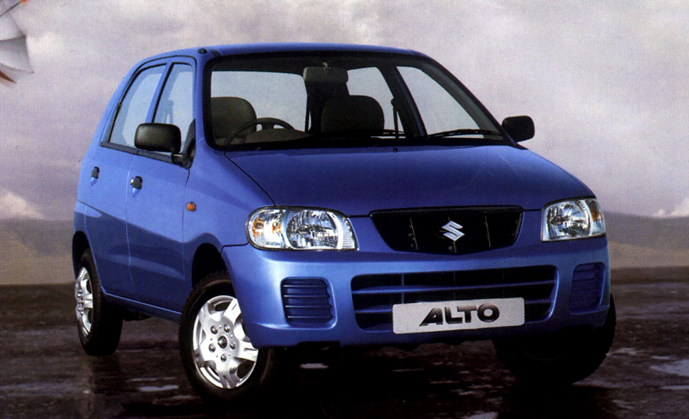 What Is New In 2012 Maruti Alto 800? If you look at the new Maruti Alto 800 and old Maruti Alto, it won’t take any time to recognize the vast difference between the two. 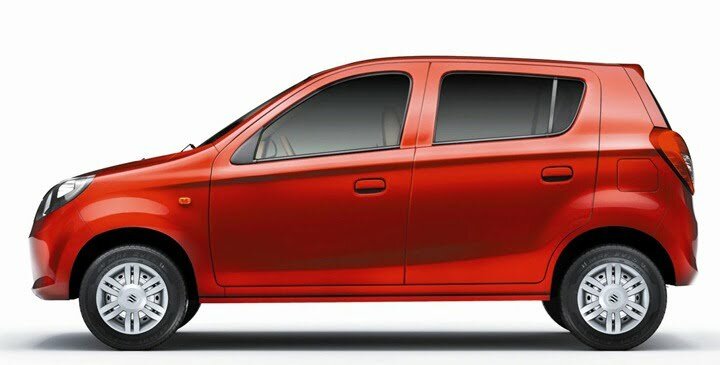 On the exteriors, we can safety say that Maruti Alto 800 is an all new car compared to the old model as it uses completely new body panels and sheet metal design. Compared to the older model, the new model has much modern looks, stylish front grille, lot of clear glass and large air-dams at front and enough visual appeal to make your head turn. The side profile is also completely redesigned with much pronounced wheel arches, character body lines running all around the body starting from front bumper right till the rear tail lamp. The rear is also much fresh with much improved looks on the boot gate, stylish leaf shapes tail lamp combination cluster, high mounted stop lamp, body lines running from side merging beautifully with the rear bumper. After looking at the two together, its highly unlikely that you find any similarity here too. The side profile is one area where there is some resemblance mainly because of the similar platform and overall structure. But the new 2012 Alto 800 is smaller in length, uses smaller 12 inch tyres compared to old model’s 13 inch tyres. These small changes make a visible difference and the wheel arches and body lines along with side sweeping headlamps and tail lamps help to easily identify the two cars from each other. Coming to the Interiors, the new 2012 Alto 800 interiors get rid of the old and pain-jane looks of the Alto and get round AC vents at sides, oval shapes at the middle, improved plastics with use of silver and beige tones on the interiors. The interiors come in the choice of gray and beige to give more choice to the customers. The new steering wheel, interiors finishing, new seats, better looking door trims etc. make the new Alto 800 look like a car from one segment above the old Alto. 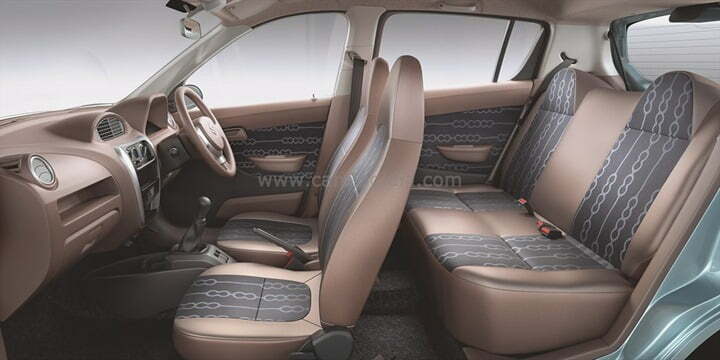 With the new Interiors, the Alto does stand a chance to match up to the interiors of Hyundai Eon which looks much better from the inside when compared to old Alto. The instrument cluster and the plastic quality has also got better in the new Alto making it a much more soothing and refreshed car. When it comes to Engine, Maruti Suzuki does use the FD8 engine which was used in old Alto, but the engine is a new version in the new car with much improved performance and fuel economy. 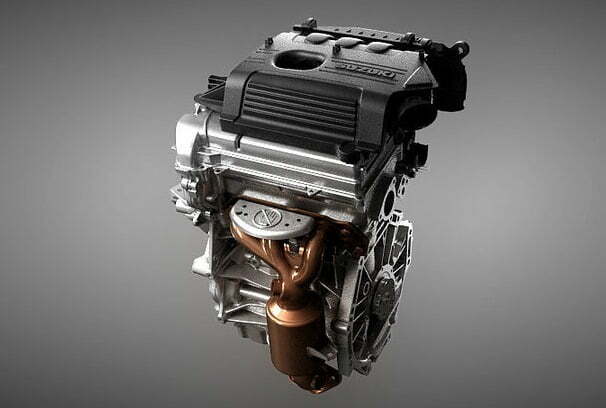 With new and improved components like lighter crank shaft, low friction piston rings, improved compression ratio, new intake, Maruti has been able to achieve much better torque of 69 Nm compared to 62 Nm of the older engine, the peak power however remains same at 47 BHP. The fuel mileage has been improved significantly from older 19.73 KMPL to 22.74 KMPL which is an improvement of about 15%. The gearbox also gets significant improvements with new cable shift mechanism used in Wagon R and Swift. The cable shift mechanism makes gear shift more smooth and easy. The transmission is still a 5 speed manual but with tweaked gear ratios. When it comes to handling, there is slight improvement in the handling as the suspension has been made stiffer compared to the old model, but the ride quality is not so pleasing on bad roads. On smooth roads, the ride comfort is fine, but if you compared it to the older Alto, it is slightly less comfortable as the suspension has been stiffened slightly to improve handling and reduce body roll. Old and new Alto 800 use almost the same suspension with minor changes in adjustment which makes the new Alto 800 handle better but slightly less comfortable on bad roads. 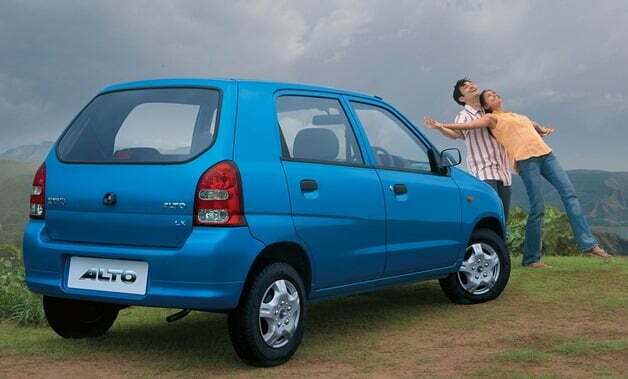 2012 Maruti Alto 800 new model has been priced almost at the same prices as the older model starting at Rs. 2.44 Lakhs ex-showroom Delhi. 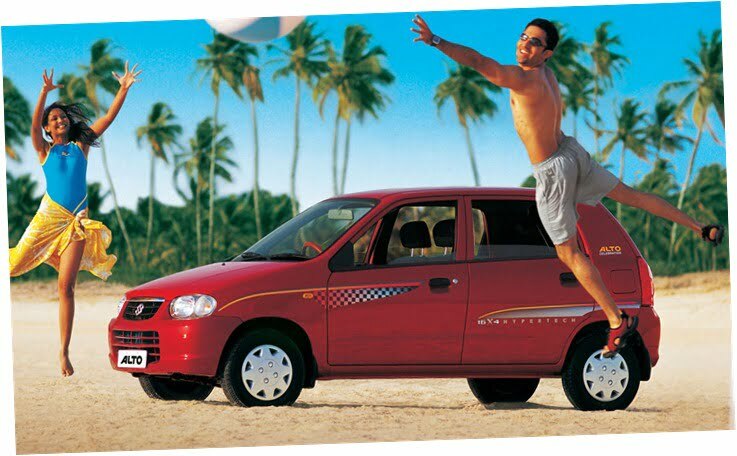 Complete Price List of Alto 800 here. 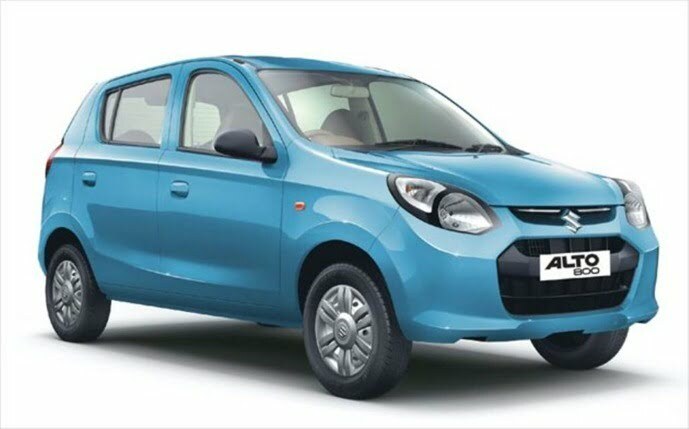 In terms of exteriors, interiors, handling and mileage, the New 2012 Alto 800 comes out to be better than the old Alto, but when it comes to ride comfort, the older Alto with softer suspension and larger tyres fares better. In totality, it is a big improvement on the outside and the inside with the engine and driving dynamics not too different from the older Alto.